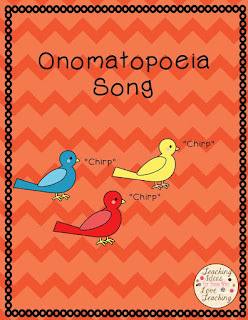 Teaching Onomatopoeia is so much fun! Kids love to come up with words that actually describe sounds. I came up with this Onomatopoeia song to the tune of the Bunny Hop a few years ago and put together this free lesson to go with it. I hope your kids will love singing this song as much as mine do! After singing it for a bit, I teach my class the steps to the Bunny Hop and we hop around the classroom. 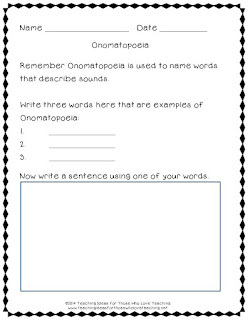 It is such an engaging lesson, that it makes it easy for my students to remember what Onomatopoeia is.